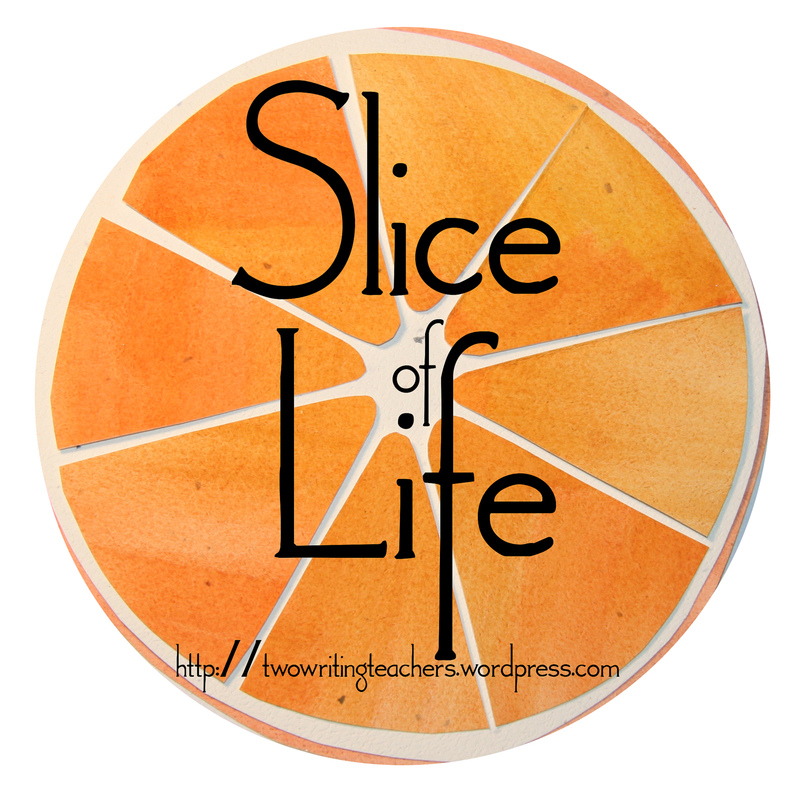 Raising Readers and Writers: Slice of Life Tuesday...What is That? 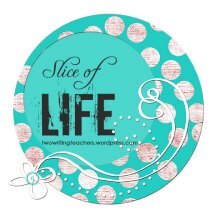 Thank you to the ladies at Two Writing teachers for hosting Tuesday's Slice of Life. Please visit their site to read other slices. Ohio, along with most of the midwest and eastern coast, is in a deep freeze. We got word yesterday afternoon that school would be cancelled today. I wonder if there is any school open in the state of Ohio. The frigid weather brings many hardships for people as they brave the cold temperatures. I am thankful that I am safe and warm and don't have to go outside today (as opposed to my daughter and husband who have to work). For all the annoyances of never-ending indoor recess, bundling up, shoveling walks, not to mention those who have lost power, there is a special beauty this weather brings. Yesterday morning, we woke up to these unusual snow sculptures in our yard. As I drove to school, I saw them dotted throughout farm fields and front yards. We even had a few in our school yard. They are called snow rollers. They are beautiful, cylindrical sheets of snow...nature's snowballs. Apparently, they are quite rare. The conditions need to be just right for them to form. This was taken in our front yard. So, for today, I'm going to enjoy all of the unexpected occurrences the day brings. That's the beauty of a snow day. That is so cool! I have never seen those before! I learned something new today. :-) Thanks for sharing. Amazing! More beauty in the midst of the deep freeze! Wow-Julie, how wonderful they are! I'm glad you shared & that many of you get to stay in! It's cold here, but not that cold! Your temperature is the same that we had this morning, thus no school was us either (in southern MI). The snow rollers are fun! I had just seen a report on how they form on the telly yesterday. Enjoy the sunshine--even if it is from inside. They are beautiful, and so mysterious looking. What a lovely sight they must be amidst all this awful cold. Snow rollers! Wow! In all my years in Maine and the Minnesota, I've never seen or heard of them. They are incredible. I'd love to see one in "person". Thanks for sharing this! Wow, beautiful sculptures! We actually have 2 days off here in the deep south of Louisiana. The snow hasn't started yet, and I doubt we will have any accumulation, but it's fun to have a day to read Slices! These are beautiful! I love that you shared about them today. I just heard about them for the first time this morning myself! Apparently they are happening here in Michigan too, but I haven't seen any in person yet. Happy snow day! Well, I've never. Snow rollers, huh? I have never, ever heard of such a thing. I love them! How great is that... nature's snowballs! 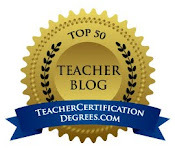 Thanks so much for sharing this information - and for snapping a picture! How cool! (pun intended :-) I'd love to see it forming. Did you get to see yours or did it just appear over night? This is so interesting, thanks for enlightening us! Aren't these so cool?! I wrote about them too! We weren't lucky enough to get any in our yard, but some houses in our neighborhood did. There are a bunch in the open fields around my school too. My husband and I drove across our neighborhood to a park to explore them and take some pictures today. Really neat! I love these and would love to see some. I am sure pictures do not do them justice. Snow rollers I just saw these pics somewhere else. How cool Julie. 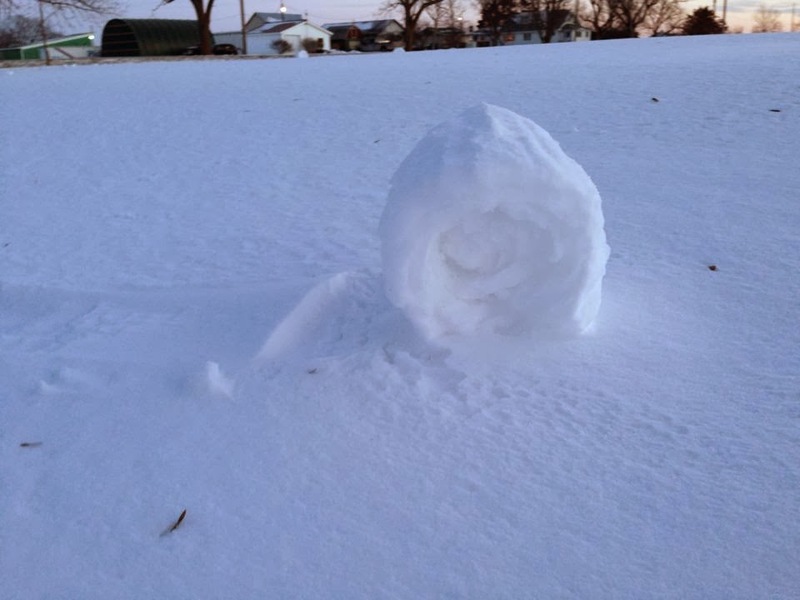 I just learned about snow rollers on Jennifer M's blog. (I'm pretty sure she lives close to you.) What a fantastic phenomenon! I'm so glad you shared about them here! I read your post in the morning and realized I needed some photos of my own. Little did I know it was going to turn into my slice of life for today also. Thanks for inspiring me without knowing it.